We would like to thank you for your desire to help a needy child for education. This is the best thing one can do in their life time. Please identify the children you would like to support and complete our online form with those details. 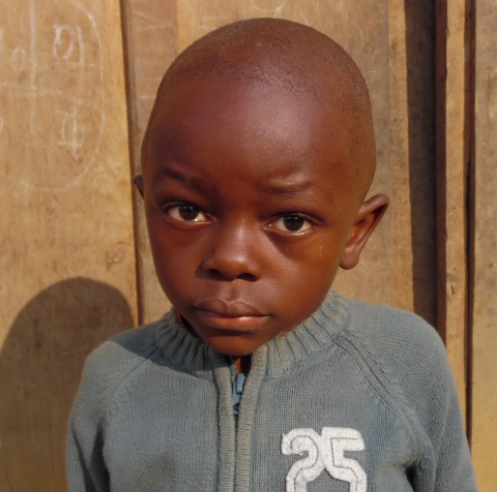 If you experience any technical problems, please email sam@upliftachild,org or sonia@upliftachild.org We will contact you and connect you to the child of your choice. Arnold’s father Luyando died in the year 2013 due to heart attack. 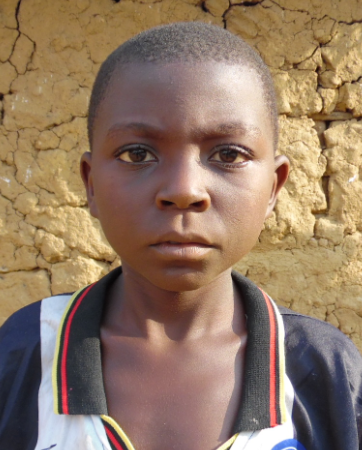 Musaada the mother of Arnold is working as an agricultural laborer. 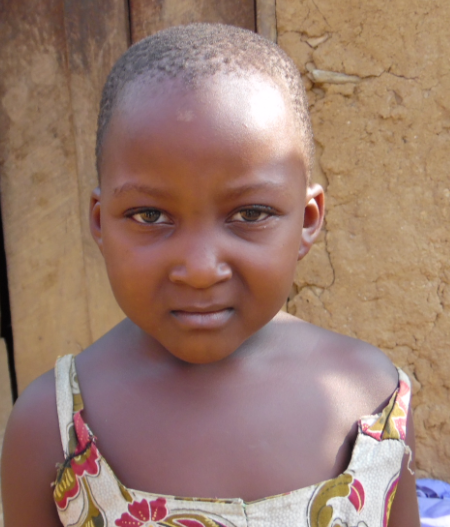 She is frequently suffering from Malaria and is under treatment. So she is unable to go to work regularly and her income is indefinite. Her maternal uncles are also staying with her. With her single uncertain meagre income, she is unable to meet the family expenses and also look after the educational needs of her children. So she is requesting to kindly help in the education of Arnold. 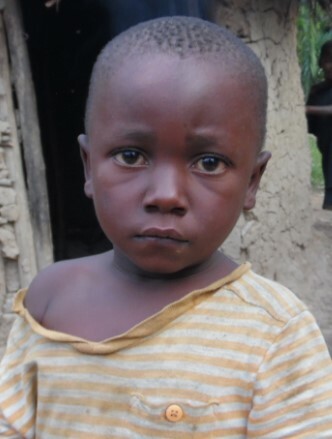 The father of the child is an unknown soldier from Rwanda. After the birth of Chancelline, Amini the mother left the child with her parents and remarried. All the 6 children are looked after by the grandmother Sofia. Chancelline is a bright and intelligent child. So the grandmother is requesting to kindly support the education of Chancelline. Mwisha and his wife Neema are blessed with 6 children. Mwisha died in January 2016 due to food poisoning. After the father died, the mother left all the children, married another man and is living in another village. Faida the sister of Mwisha is working as a maid in different houses. She is unmarried. All the 6 children are looked after by her. She is finding it difficult to meet the family day to day expenses and also educate her nephews. So she is requesting the Organization to kindly help in the education of Chiza. Ciza and Kisuba are blessed with 7 children. Kisuba the mother of the children died due to some unknown sickness. After the death of Kisuba, Ciza married again. With his new wife Mapendo he has 4 children. Christian is a bright and intelligent child. The father is unable to meet the basic needs of his 11 children and also educate them. So he is requesting the help of the organization in the education of Christian. Consolat's mother Aime, died in 2009. Consolat's dad remarried and left the child with grandparents. At present the grandfather is bed ridden and Consolat’s grandmother is looking after the family. 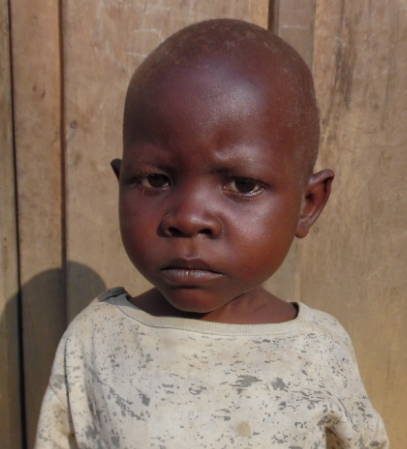 It is very difficult for the old couple to look after this child’s basic needs and also his educational necessities. So they are requesting the organization to kindly support this child’s education. Daudi’s father Matata died in 2016 due to food poisoning. 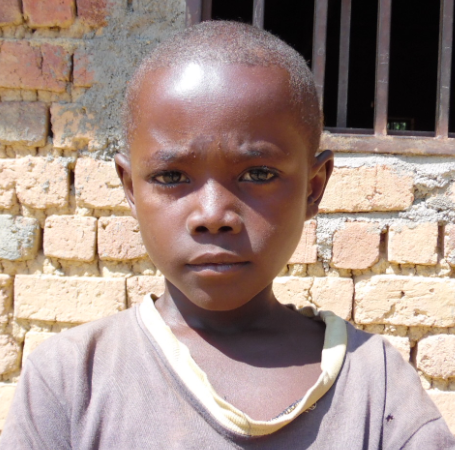 Daudi has 7 siblings and 3 cousins.His mother, Sesile takes care of all 10 children at home.It is getting very difficult for Sesile to look after the basic needs of 10 children and also to fulfill their educational necessities. 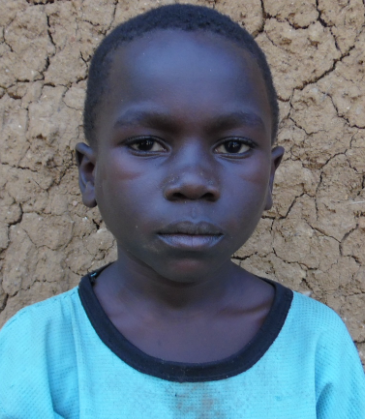 So she is requesting the Organization to help educate Daudi. Debora’s father was a soldier and died during a war. Debora’s mother left the family so Debora is taken care by her grandmother, Chabusiku. Debora also lost her sister Alice to food poisoning. Her another sister, Diela is physically challenged. Debora is a bright and intelligent child. 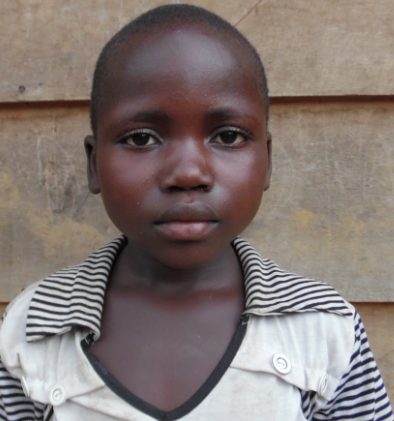 Her Grandmother wants to give good education to Debora and requesting to kindly support her. Dieu-Veut Ndauma’s father died in 2007 due to illness. Nangununu, the single mother of 7 children is an agricultural labourer and finding it very difficult to afford education of the children. So she is requesting the kind help of the organization to support the education of Dieu-Veut Ndauma. 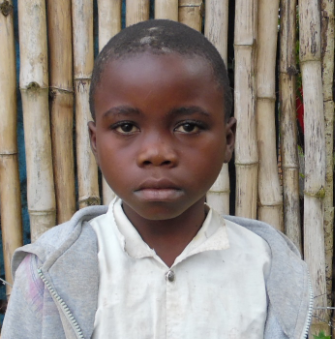 Enambisi is a complete orphan. His father Chorombi died in the year 2013 during the war conflicts. 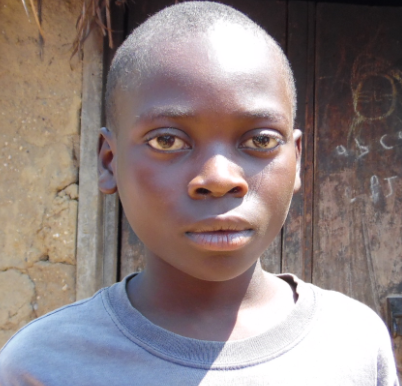 His mother Ongeza died in the year 2014 while giving birth to her second child. 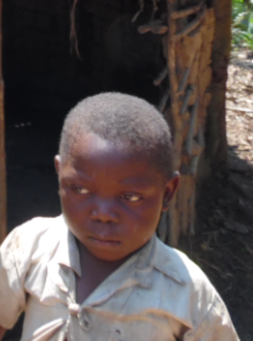 Both the children are taken care by the maternal grandmother Mwahbahba who is a widow. It is a great burden for her to meet the day to day expenses of the children and also to educate them. So she is requesting the Organization to kindly help in the education of Enambisi. 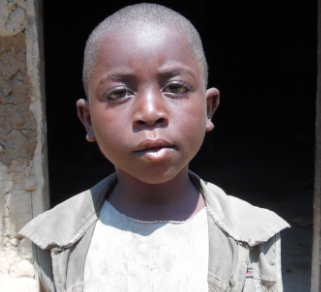 Espoir’s father Kaleba died in the year 2011 due to infection in his legs. Few months after the death of the father, Espoir’s mother Chakupewa also died while giving birth to Espoir. Espoir has 2 siblings. All 3 of them are taken care by Vumiliya their paternal aunt who is married and has 5 children. Vumiliya and her husband are agricultural labourers. With their earnings, they have look after 8 children, meet the family day to day expenses and also educate the children. Since they are facing difficulty to educate the children, they have requested the Organization to kindly support the education of Espoir. Benita the mother of Esta died in the year 2011 due to gynecological problems. After the death of Benita, Bingi the father of Esta left the children and went to some other place. The children are taken care by Rehema the elder sister of Benita. She is married and has her own 2 children to look after. Her husband is suffering with health problems. Her husband’s younger brother is also staying with them. 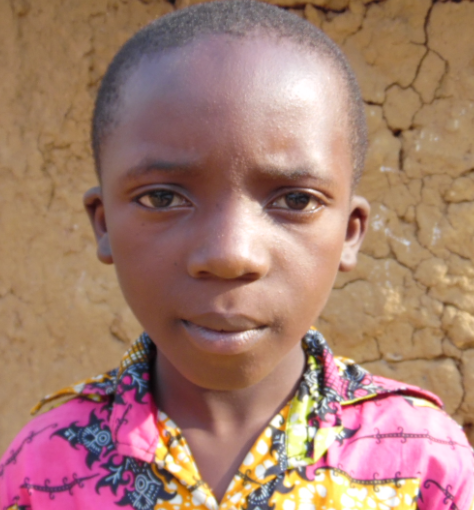 Rehema is working as an agricultural labourer. With her single income she has to look after the basic needs of all the family members and also the medical needs of her husband. So she is requesting the Organization to kindly support the education of Esta. 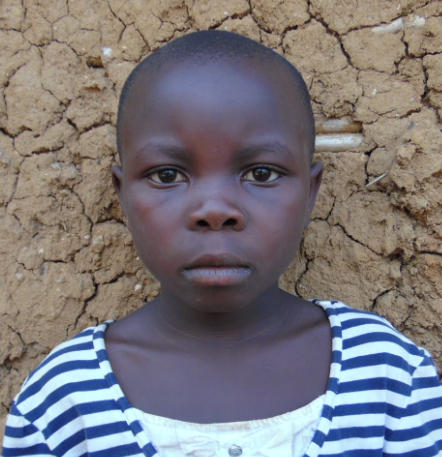 Eveline’s father Bahati died due to intestinal cancer. 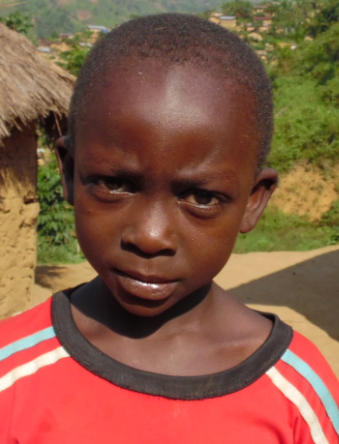 Chibichabene the mother of the child is 25 years old and is working as an agricultural labourer for the sustenance of the family. She did not remarry but is taking care of her 2 children. Her parents are also living with her. Chibichabene is finding it difficult in looking after her aged parents and also her children with her single meagre income. She wants to give good education to Eveline. So she is requesting the organization to kindly help in the education of her child. Exauce’s father Claude died due to bleeding from his mouth in the year 2013 as a result of some unknown sickness. After the death of the father, Machozi the mother left her 6 children with her maternal aunt Tumaini who is married and has 2 children. Machozi is working in Bukavu. It is very difficult from the maternal aunt Tumaini to look after the basic needs of all the children and also educate them. So she is requesting the organization to kindly help in the education of Exauce. Shukuru the father of Exauce died in 2015 due to malaria. 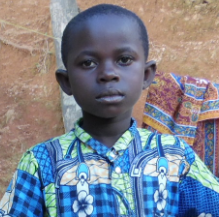 His mother Francine is working as an agricultural labourer. With her single meagre income, she has to look after her 6 children. She is unable to meet the educational needs of Exauce. So she is requesting to kindly support his education. Faida’s parents got separated due to misunderstandings between them. Mirenge left his wife Bitetewete and child Faida and went to some unknown place. His whereabouts are not known. After few years, Bitetewete died due to some unknown disease. The child is a complete orphan. 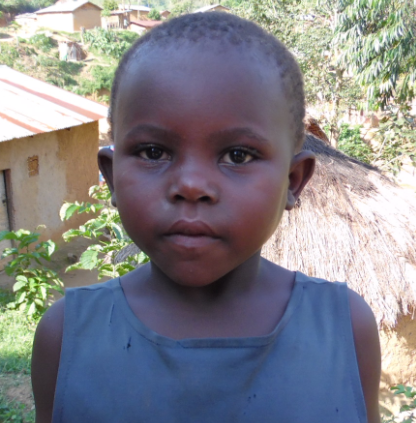 She is taken care by a local volunteer Amukeni who is requesting to kindly support this child’s education. Pilipili the father of Feza was a Congo soldier. He was killed during the Rwanda war in the year 2010. Pilipili and his wife Tukalola are blessed with 6 children. Mother is an agricultural labourer. With her single meagre income, she has to look after the basic needs of her children and also educate them. As she is facing difficulty, she has requested the Organization to kindly support the education of Feza. Kubanabantu the father of Frank died in the year 2011 due to food poisoning. Furaha the wife of Kubanabantu is an agricultural labourer. Her income is uncertain. After the death of her husband she did not remarry. All the 4 children are staying with the mother. With her meagre income, she is facing difficulty in meeting the family day to day expenses and also educate her children. So she is requesting the organization to kindly support the education of Frank. Ndebo the father of Funbisho died due to Hepatitis – B. Funbisho’s mother Azina died in the year 2012 due to gynecology problems. Funbisho has 2 elder brothers. All the children are taken care by their paternal aunt Raeli who is married and has 7 children. Raeli and her husband are agricultural labourers. With their meagre income they have look after the basic needs of 10 children and also the family day to day expenses. So they are requesting to kindly support the education of Funbisho. Busha the father of Furaha was a soldier. He died in the year 2012 during the war conflicts. Busha and his wife Beatrice are blessed with 2 children. After the death of her husband, Beatrice along with her children is staying with her parents who are aged and weak. She is working as an agricultural labourer and looking after her aged parents, an unmarried sister and also her children. She is unable to make both the ends of the family to meet. She wants to give good education to her daughter. So she is requesting the Organization to kindly help in Furaha’s education. The father of the child died due to some unknown sickness. After the death of the father, the mother of Giselle left her 3 children and went to some unknown place. Pendeza the maternal aunt of the child is taking of Giselle. She has 6 children. All of them stay together in the same house. Pendeza and her husband are agricultural labourers. 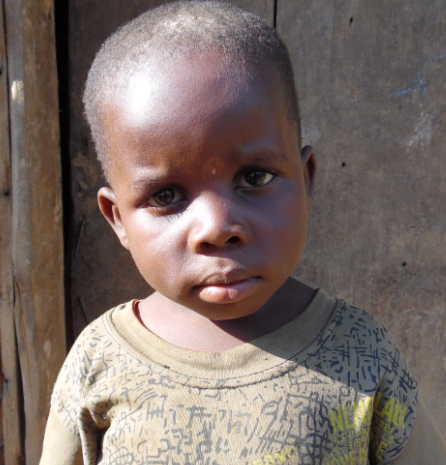 With their meagre income it is very difficult for them to look after the basic needs of all the children. So they are requesting the kind help of the organization for the education of Giselle. The parents of Glorie died due to some unknown sickness. Maombi the local volunteer went and reported the matter to the local pastor who announced about the child in the church. 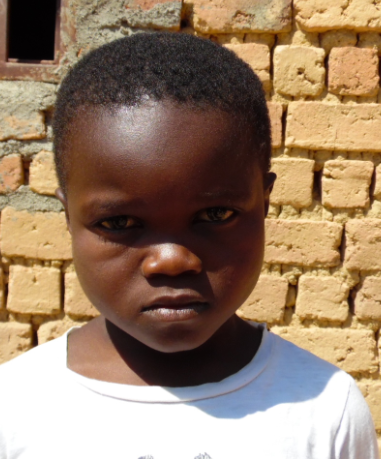 As Glorie is a complete orphan Maombi is taking care of the child since 2012. Maombi is married and has 3 children to be taken care off. Glorie has 2 elder sisters who are married. His elder brother is unemployed. 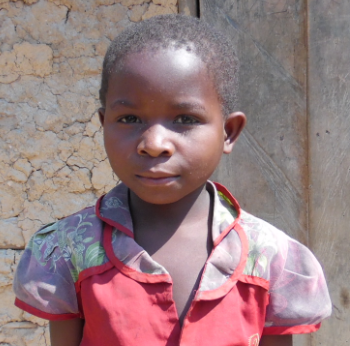 Maombi wants to give good education to Glorie, so she is requesting to kindly support him. 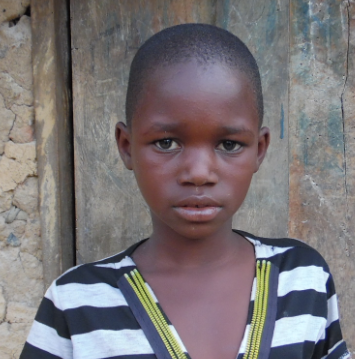 Grace’s father Mapenzi was an agricultural daily wage labourer. When he went for farming one day, he fell from a palm tree and his backbone got damaged. He is bed-ridden. Grace’s mother Noela is working as a daily wage labourer and looking after her husband and 6 children. Other children are not going to school. 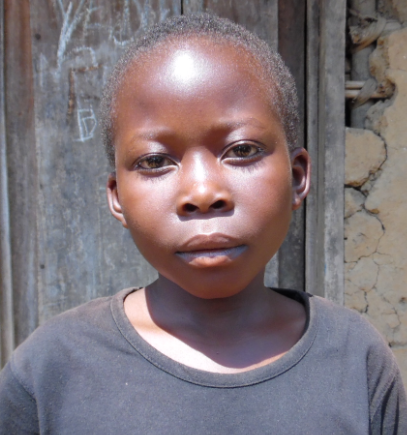 Noela wants to give good education to at least 1 child. So she is requesting the help from the organization for the education of Grace. Hekima’s father Heshima died 3 years back due to some unknown sickness. 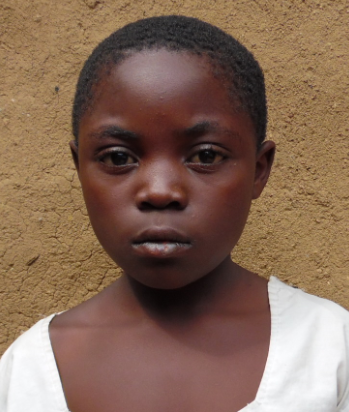 At the time of Rwanda Civil war, Hekima’s mother Riziki left her children with her parents – in – law and went to her village. 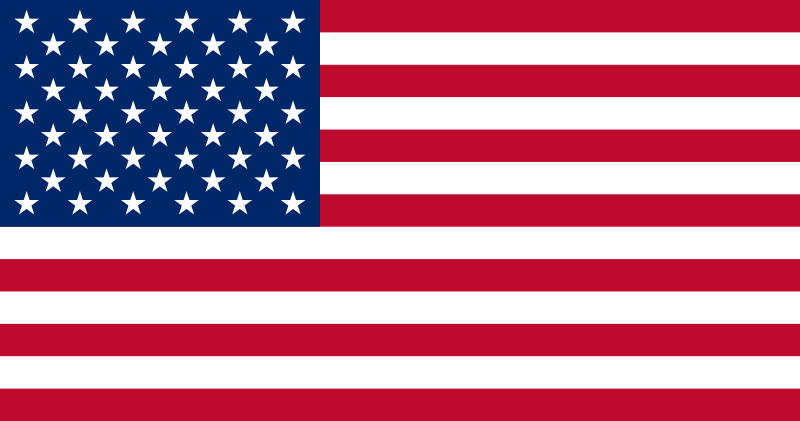 The paternal grandfather of the children also died. The paternal grandmother Bikula is working as an agricultural daily wage labourer and taking care of her grandchildren. She is requesting to kindly help in the education of Hekima. Matias and his wife Mwanvita are blessed with 7 children. Two of their children are married. 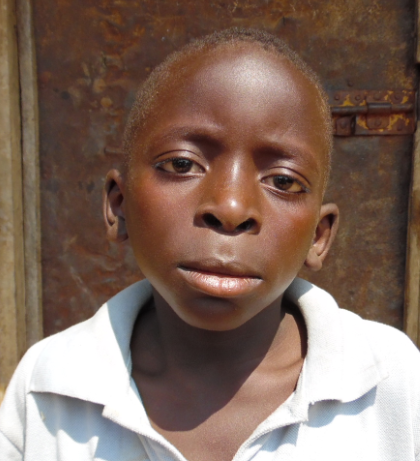 Due to lack of proper medical treatment, Matias died after suffering with Tuberculosis. After the death of her husband, Mwanvita the mother of the child did not remarry. She is working as an agricultural labourer. With her meagre income, she is finding it difficult to look after the basic needs of her children and also educate them. So she is seeking the kind help of the organization to support the education of Hekima. Heri’s father Kamuteire died during the war conflict. Kamuteire and his wife Murushee are blessed with 5 children. Murushee is working as an agricultural laborer. She does not want to marry again. She is facing difficulty in meeting the family day to day expenses and also educating her children. 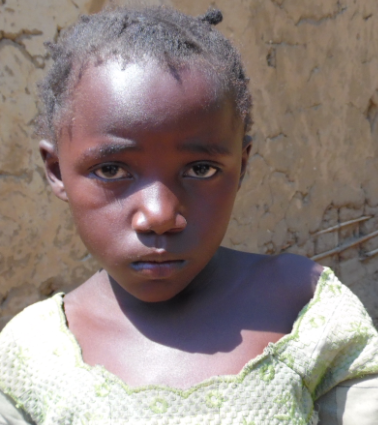 So she is requesting the organization to kindly help in the education of Heri. 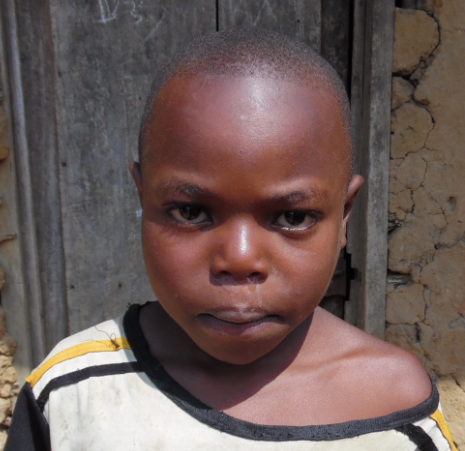 Jeannette’s father Jamaa was a worker in the local mine. He died in the year 2013 while he was mining. Jamaa and his wife Noela are blessed with 3 children. After the death of her husband, Noela left her 2 children, took one of her child and is living in another place. The 2 children are taken care by the maternal uncle. He has his own family to look after. So he is requesting to support the education of Jeannette. Masumbuko the father of Jeremie died in the year 2009 due to diabetes. His wife Bulinso is an agricultural labourer. They are blessed with 4 children. After the death of her husband, Bulinso did not remarry. Her younger brother is staying with them. With her meagre income, she is facing difficulty to make both the ends of the family to meet. She is unable to pay the school fees of her children. 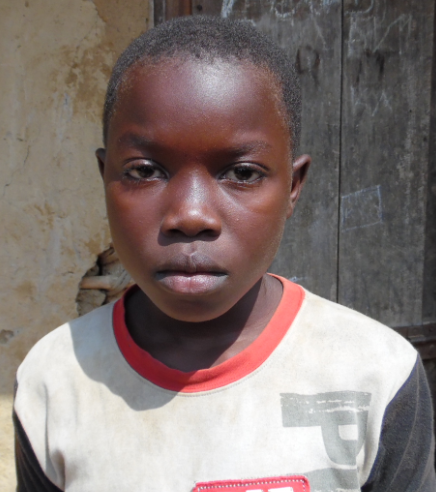 So she is seeking the kind support for the education of her son Jeremie. Kasiwa’s father Wetekaye died in the year 2007 due to some unknown sickness. Kasiwa has 3 siblings. After the death of the father, Nabita the mother of the children left the family and remarried. All the children are taken care by the maternal grandmother who is aged and weak. She goes to work as an agricultural labourer. With her single meagre income, she has look after her husband, the grandchildren’s basic needs and also meet the family day to day expenses. She is requesting to kindly support the education of Kasiwa. 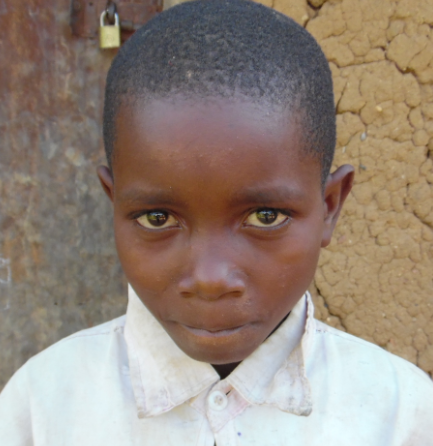 Kusimwa’s father Zibika died in the year 2009 during the war conflict when the soldiers had burnt their house. Zibika and his wife Tulinabo are blessed with 2 children. After the death of her husband, Tulinabo left her children and went to some unknown place. Namwern the sister of Zibika is taking care of the 2 children. She is also married and has 4 children. Her husband left her. She is working as an agricultural labourer. With her uncertain meagre income, she is facing difficulty to look after all the 6 children. 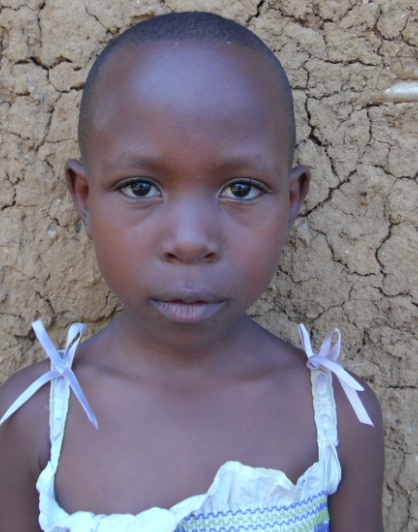 She is requesting the kind support of the Organization in the education of Kusimwa. Muhunao the father of the child died 7 years back due to some unknown sickness. Vumilia the mother is working as an agricultural labourer. Her income is uncertain. With her meagre income, she is taking of her children. She is unable to give good education to them. So she is requesting the help of the organization for the education of Lumiere. 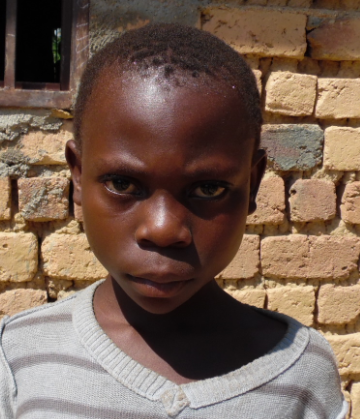 Due to lack of proper medical aid, Evary the father of Maombi died due to vomiting and diarrhea in the year 2008. Evary and his wife Maria have 4 children. Maria is an agricultural labourer. But due to knee pain she cannot go to work regularly. As there is no proper medical treatment given to her she is unable to move. So she is requesting the Organization to kindly support the education of Maombi. Michael’s father Bwiingo died in the year 2011 due to some unknown sickness. Bwiingo and his wife Mawazo are blessed with 6 children. After the death of her husband Mawazo did not marry again. She goes to work as an agricultural labourer. With her single meagre income, she is facing difficulty in meeting the family day to day expenses, buy the required schooling material for her children and also look after their educational needs. She is requesting to kindly help in the education of Michael. The houses in Chiraba were burnt by the rebellions in the year 2012. Mirindi’s father Kanywenge died during those clashes. 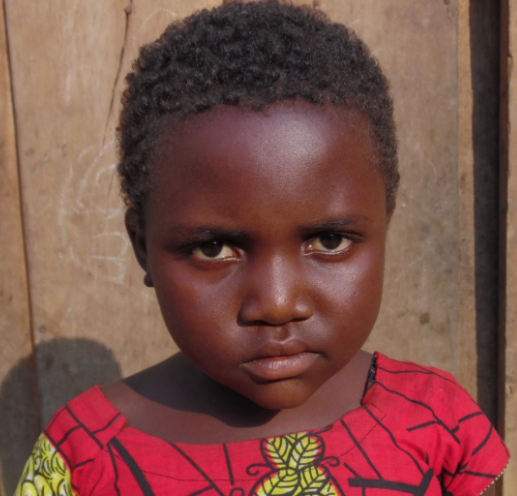 Due to lack of proper medical assistance, Sifa the mother of Mirindi died due to diarrhea in the year 2015. Mirindi has 2 siblings. 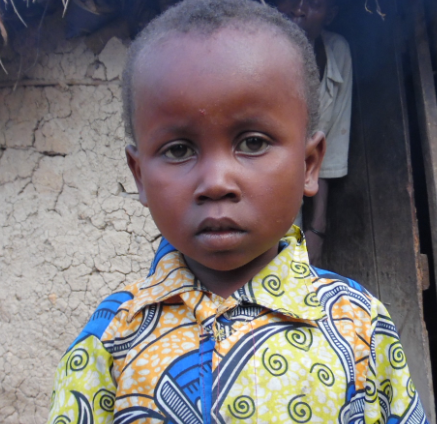 All the 3 children are taken care by the paternal aunt Furaha who is a widow with 3 children. 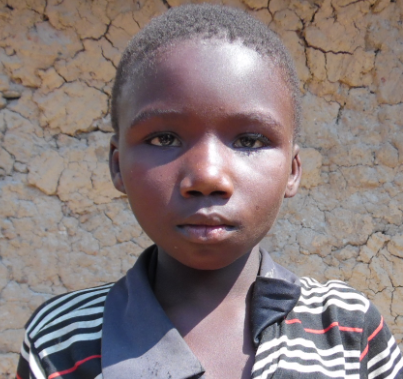 Furaha goes to work as an agricultural labourer. With her single meagre income, she is finding it difficult to make both the ends of the family to meet. So she is requesting to kindly support the education of Mirindi. Malombe the father of Moza was a soldier in the army. He died 3 years back during the war time. Bengibabuya the mother of Moza is an agricultural labourer. Moza has 6 siblings. With her single meagre income, she is facing great difficulty to make both the ends of the family to meet. Due to poverty she is unable to send all her children to school. So she is requesting the organization to kindly support the education of Moza. Balume the father of Musa was taken by the army and killed during the war conflict in the year 2013. He was a civilian. Musa has 3 siblings. After the death of her husband, Nosiata the mother of the children did not marry again. She goes to work as a daily wage labourer. With her single meagre income, she is taking care of her children’s basic needs and also meeting the family day to day expenses. But she is unable to cater to the educational needs of her children. So she is requesting to support the education of Musa. Kobore the father of Muujiza died in the year 2014 due to massive heart attack. Yaredi the mother of the child did not marry again. She goes to work as an agricultural labourer. With her single meagre income, she is unable to make both the ends of the family to meet. She is facing difficulty to educate her children. So she is seeking support for the education of Muujiza. 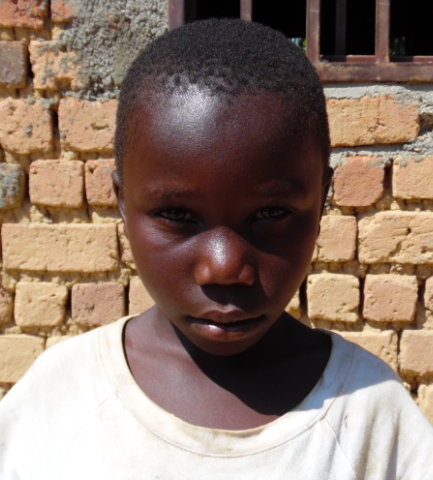 Neema’s mother Charlotte died in the year 2004 due to some unknown sickness. 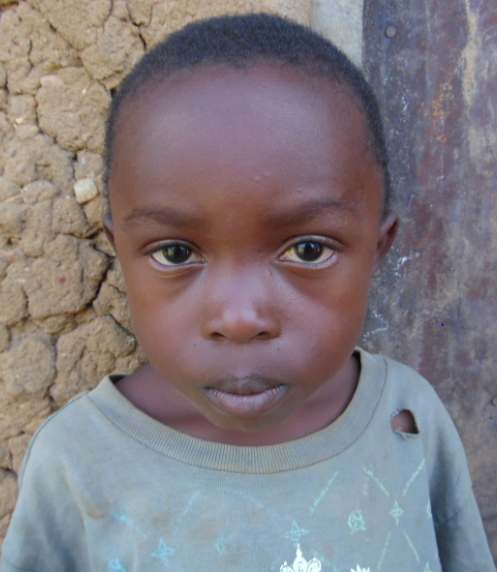 In the year 2007, Neema’s father Buchakuzi was killed by a rebellion group while he was returning home. Binoti and Neema are looked after by their paternal aunt Bikulo who is married and has 6 children. Other children are looked after by other relatives. Bikulo’s husband is an agricultural labourer and is shouldering the entire family burden as his wife is sick and cannot take up any work. 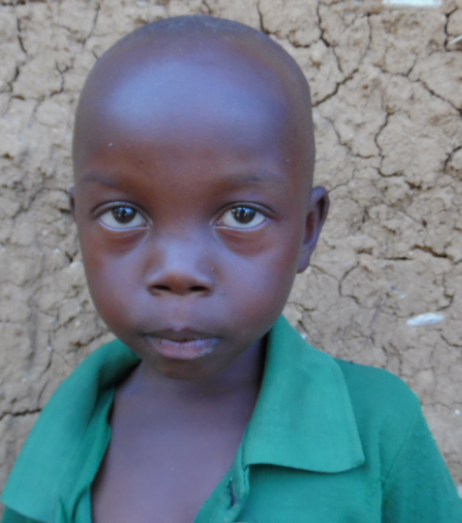 So the wife and husband are unable to meet the educational expenses of Neema. So they are requesting to kindly support her education. Loti the father of Nicole died in February 2016. Nicole has 4 siblings. Sifa the mother of the children is 25 years old. She is working as an agricultural labourer. With her single meagre income, she is facing difficulty to meet the basic needs of her children and also their educational necessities. So she is requesting the organization to kindly help in the education of Nicole. 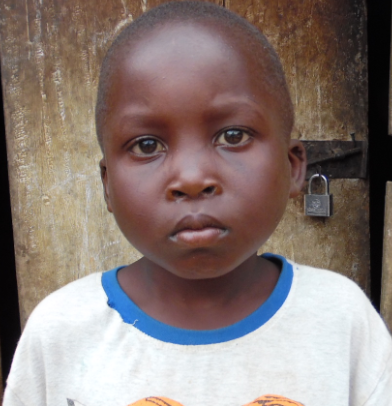 Mubango the father of Noe died in February 2015 due to Malaria. Mubango and his wife Zawa are blessed with 2 children. After the death of her husband, Zawa left her children with Bora the sister of her husband and went to some other place. She died in the January 2016. Both the children are complete orphans. The paternal aunt of the children is finding it difficult to meet their basic requirements and also educate them. So she is seeking the support of the organization in educating Noe. 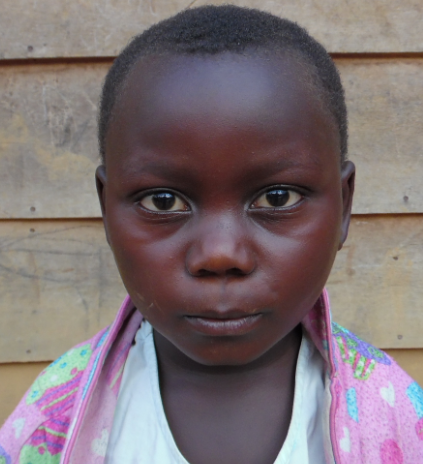 Nyota's parents are deceased and Nyota is taken care by her paternal aunt Martha. 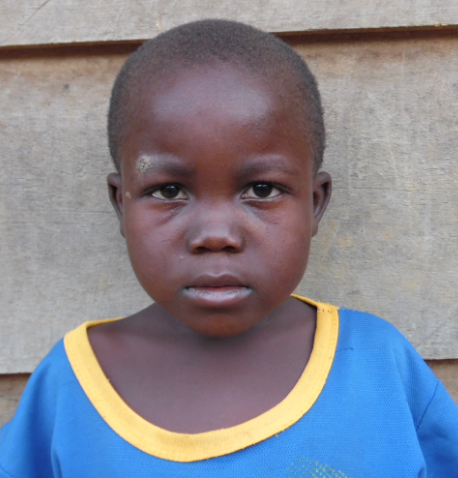 Martha is poor and is facing difficulty in looking after the child’s basic needs and also the educational requirements. So she is requesting the organization to kindly support Nyota’s education. Jeanne and Ombeni are blessed with 5 children. Jeanne died on June 10th, 2016. Ombeni is working in the school for the past 4 years. The father is finding it difficult to meet the family day to day expenses and also educate his children. So he is requesting to kindly help in the education of Olivier. Wakilongo the husband and Mapendo the wife is blessed with 4 children. Wakilongo died 6 years back due to some unknown disease. After the death of the husband, Mapendo married another man with 7 children. The second husband of Mapendo also died in a mining accident. 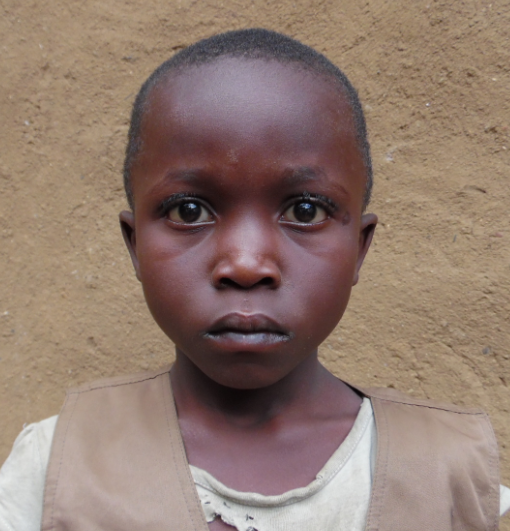 All the 11 children are looked after by Mapendo who is working as agricultural labourer. She is unable to educate Patrick. So she is requesting the help from the Organization for his education. 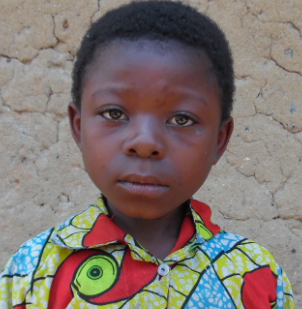 Holore and his wife Rehema are HIV +ve patients. They have 6 children. Holore died in the year 2015. All these children are taken care by the paternal grandparents. 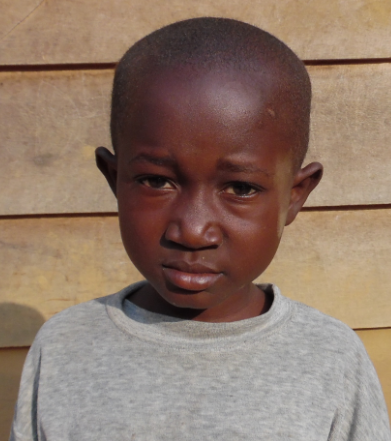 Bikayi the paternal grandfather of the children is struggling hard to make both the ends of the family to meet. A nearby school has volunteered to support the education of 2 of the siblings of Placide. So Bikayi is seeking the organization to help in the education of Placide. 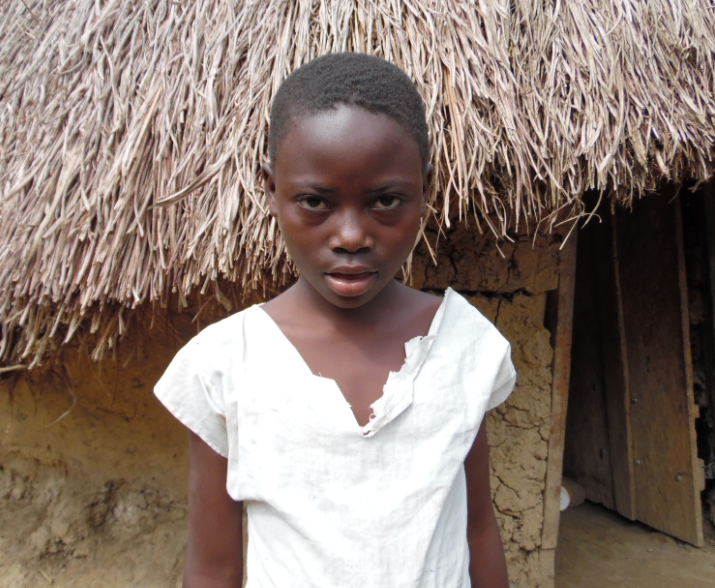 Due to lack of proper medical facilities, Rebeka’s father Kasasara died in the year 2005 while suffering with diarrhea. Mawazo the mother of Rebeka died due to diabetes. 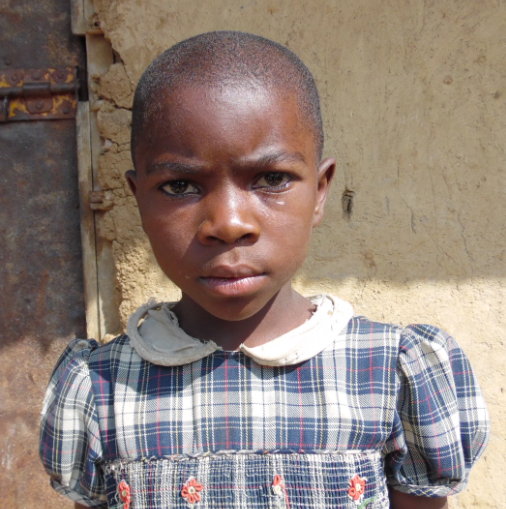 Rebeka and her 2 sisters are orphans. They are taken care by their maternal aunt Martha who is married and having 4 children. 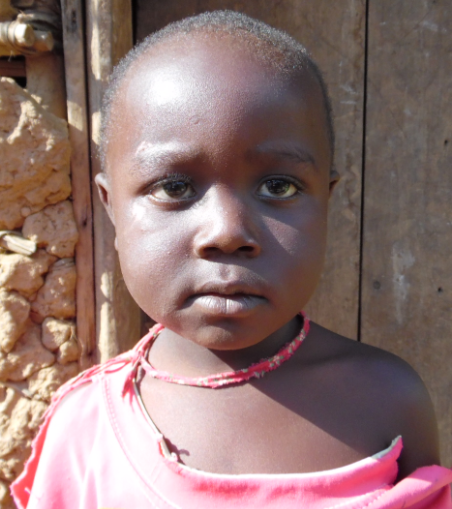 Martha is facing difficulty to meet the basic needs of all the 7 children and also educate them. So she is requesting the Organization to kindly support the education of Rebeka. Chikuru and his wife Rebeka are blessed with 7 children. Chikuru was a Janitor. One day while he was digging the earth for sanitation purpose, a huge block of rock fell on him and he died. After the death of her husband, Rebeka did not remarry. She is working as an agricultural labourer. With her single meagre income, she is unable to make both the ends of the family to meet. She wants to give good education to her children, but she is unable to pay the school fees. So she is requesting the organization to kindly support the education of Reponse. 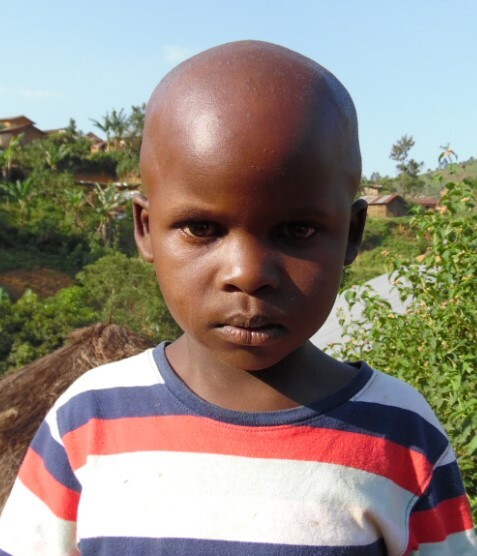 Kesereka and his wife Noella died with some unknown disease leaving behind 7 children who are being looked after by their maternal grandmother Siyapata who is a widow. Siyapata along with these 7 children is staying with her daughter Furaha whose husband left her. Furaha has 4 children. Another daughter of Siyapata is also sharing the same shelter. With such a big family to be supported by Furaha, she is facing great difficulty to make both the ends of the family to meet. 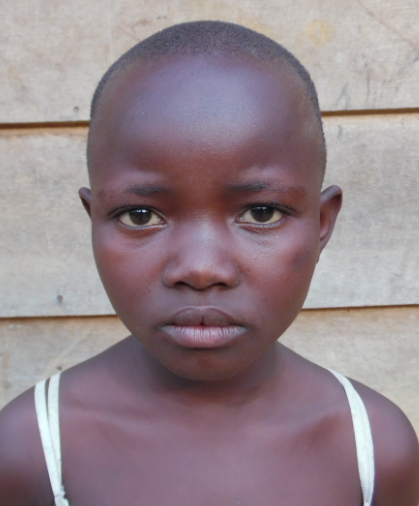 So she is requesting the Organization to kindly help in the education of Riziki. Baayanunga the father of Samusoni was killed during the rebellion war in the year 2011. After the death of the father, Tubikene the mother of the children remarried leaving the children to be taken care by Amini the sister of Baayanunga. Few years back Tubikene also died due to food poisoning. Amini and her husband are agricultural labourers. They have 3 children. It is very difficult for them to take care of the children’s basic needs and also their educational necessities. So they are requesting the Organization to kindly support the education of Samusoni.